Europe is liberalising electricity in accordance with the European Commission's Electricity Directives. Different countries have responded differently, notably in the extent of restructuring, treatment of mergers, market power, and vertical unbundling. While Britain and Norway have achieved effective competition, others like Germany, Spain and France are still struggling to deal with dominant and sometimes vertically integrated companies. The Netherlands offers an interesting intermediate case, where good economic analysis has sometimes been thwarted by legalistic interpretations. Investment under the new Emissions Trading system could further transform the electricity industry but may be hampered by slow progress in liberalising European gas markets. The energy market liberalisation process in Europe is increasingly focused on electricity market integration and related cross border issues. This signals that the liberalisation of national electricity markets is now closer to the long-term objective of a single European energy market. The interface between the national electricity markets requires physical interconnections and technical arrangements. However, further progress towards this objective also raises important issues regarding the framework within which the integrated market is implemented. This paper reviews the progress towards a single European electricity market. We then discuss the emerging issues of market concentration, investments, and security of supply as well as some aspects of market design and regulation that are crucial for dynamic performance of a single European market. Britain was the exemplar of electricity market reform, demonstrating the importance of ownership unbundling and workable competition in generation and supply. Privatisation created de facto duopolies that supported increasing price-cost margins and induced excessive (English) entry. Concentration was ended by trading horizontal for vertical integration in subsequent mergers. Competition arrived just as the Pool was replaced by New Electricity Trading Arrangements (NETA) intended to address its claimed shortcomings. NETA cost over �700 million, and had ambiguous market impacts. Prices fell dramatically as a result of (pre-NETA) competition, generating companies withdrew plant, causing fears about security of supply and a subsequent widening of price-cost margins. The Nordic Market: Signs of Stress? The supply shock that hit the Nordic electricity market in 2002-2003 put the market to a severe test. A sharp reduction in inflow to hydro reservoirs during the normally wet months of late autumn pushed electricity prices to unprecedented levels. We take this event as the starting point for analysing some potential weaknesses of the Nordic market. We conclude that fears regarding supply security and adequacy are likely to be unfounded. Nevertheless, as inherited over-capacity is eroded, and new market-based environmental regulation takes effect, tighter market conditions are to be expected. It is then crucial that retail markets are fully developed so as to allow consumers to adequately protect themselves from occurrences of price spikes. The German energy industries will be subjected to regulation of network access enforced by a sector-specific regulator. Whereas the gas industry broke the regime of negotiated third party access, in electricity nTPA �worked�, although it clearly resulted in a margin squeeze. The government currently discusses whether to use rate-of-return or incentive regulation, to allow ex-ante approval of charges, and the length of the regulatory lag. Close examination suggests that generation capacity still is adequate, but in the longer term there is reason to be alert. The regulatory changes and emission trading system can both contribute to supply security by increasing investment. 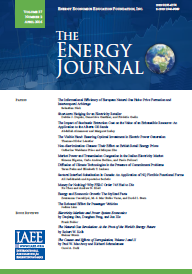 In this paper we describe the Spanish electricity industry and its current regulatory regime. Special emphasis is given to the description and discussion of market design issues (including stranded cost recovery), the evolution of market structure, investment in generation capacity and network activities. We also provide a critical assessment of the 1997 regulatory reform, which did not succeed in introducing effective competition, but retained an opaque regulation which has been subject to continuous governmental interventionism. Furthermore, the implementation of the Kyoto agreement could show the lack of robustness of the regulatory regime. We describe the evolution of the structure of the Dutch electricity market since the E-Act 1998 that implemented the first EU Electricity Directive. The initial idea of the government was to combine liberalization in supply with concentration in generation, with the attempt to create a national champion that could compete on the European market. As the producers could not agree, the attempt failed and competition could develop. The production side now is less concentrated than in several other EU countries and the competition authority has played an active role in keeping it that way, among others by means of its intelligent analysis of the Nuon-Reliant merger, in which a VPP auction was proposed as a remedy. In contrast, regulation of the network business cannot be considered a success as bad drafting of the law prevented effective incentive regulation. Finally, the liberalization of the retail market for green energy, in effect since July 2001, has shown that retail competition may not yield many consumer benefits. We examine what kind of competitive fringe has been built in France around the State owned incumbent without destroying it or significantly weakening its dominant position; what impacts has this particular reform process on the market in which the incumbent monopolist is still overly dominant; and what more can be done to strengthen the opening of the market while staying in this typical French policy framework (no industrial restructuring and no forced divestiture by the monopolist). We wonder if a larger window of opportunity will open up at some later date for contesting the position of the monopolist, especially when investment in generation resumes.